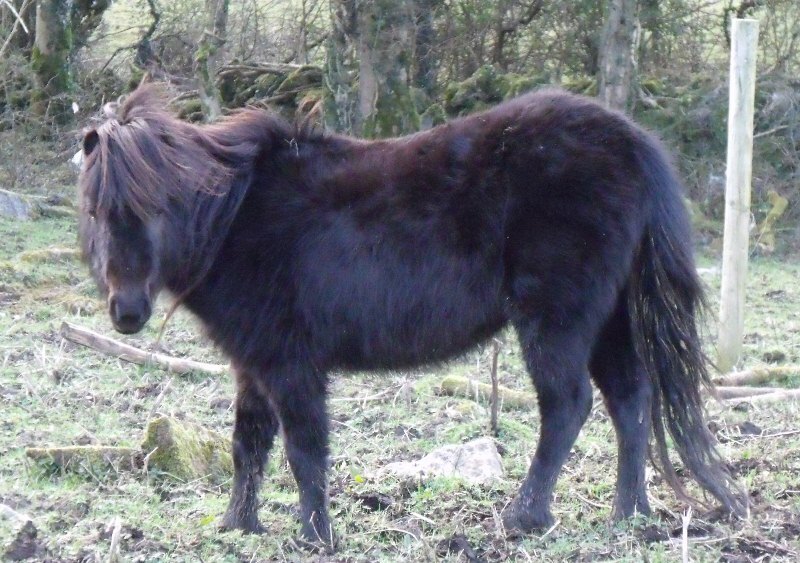 Megan is a 9h-10h pony who arrived into our care along with a number of other small inbred ponies who were being neglected by their owner. 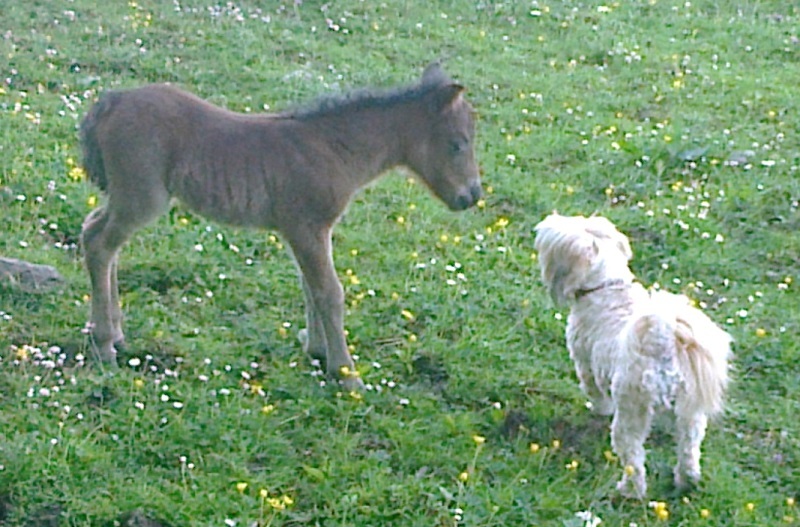 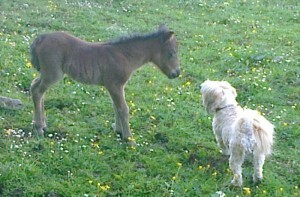 To give you an idea as to how small Megan’s filly is here is a photo of her investigating Mini the shih tzu! 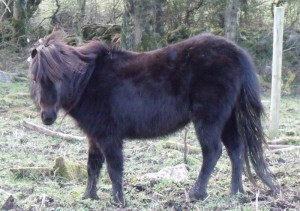 There is every chance that this little filly’s Daddy is also her grandfather so we will be watching her development and hope that all goes happy & healthy for both Mother & Daughter.